We’ve just released a new mod in the ShackTac collection, called ShackTac Group Indicators, or STGI for short. For more on how it works, I’ve created a video describing it, and you can find further information (including downloads) here. Apologies for the delay, I’ve been swamped lately. Community Guides #5 through #7 have been released, covering Basic Helicopters, Snipers & Launchers, and Combined Arms. You can find them embedded after the jump – hope you like ’em! I’ve also published my Gear Menu for Altis/Arma 3 release version on the Steam workshop, which you can find here. Tactics, Techniques, & Procedures for Arma 3 – TTP3 – released! My new Tactics, Techniques, & Procedures Guide for Arma 3 has just been released! 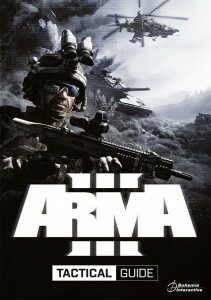 The guide is part of the Deluxe Edition of Arma 3, is also available individually, and is also available in print. Special thanks to Bohemia Interactive for believing in it enough to make it an actual part of the product, as well as for being extremely receptive to my vision for this iteration! As before, this took a tremendous amount of energy to produce. I hope those of you checking it out find that energy to have been well-spent, and best of luck to everyone on their Altis adventures! For those looking to purchase a hard copy of this, see below for ordering information. A version hosted on my site is now available free for all. 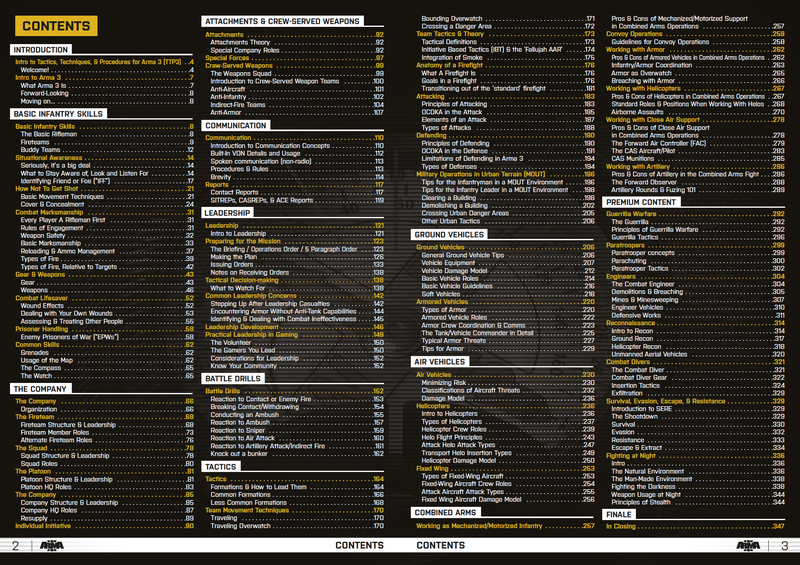 Those who purchase the full guide will also receive bonus content, which you can find listed in the index as “Premium Content”. 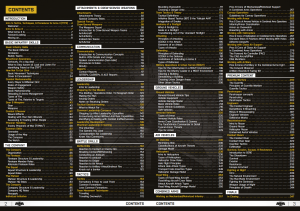 If you have the Deluxe Edition of Arma 3 installed, you can find the tactical guide in your Arma 3 folder in the ‘Bonus/Tactical_Guide/’ folder. The free web version, without the premium chapters, is available here. This post is two things – the first is a video I created to show just how imperfect and finicky the Arma 3 action menu is (and by association, Arma 2, Arma 1, and OFP), while the second is some thoughts of mine on how it could be largely replaced by a better system. First, the video. This is 30 minutes long – you’ll get the idea in the first ten, but the remaining twenty show off some specific aspects of how it pertains to vehicles and how interacting with doors could be improved. As you can see, the action menu and attempt at a context-sensitive action menu system in Arma 3 are insufficient and heavily flawed. I believe that Arma needs a proper and modernized context-sensitive “Use” or “Interaction” key. The existing “action menu” is an imperfect solution and while it should probably remain in the game in some capacity for those special-case uses (particularly via mods), I believe that most interaction tasks can be better accomplished with such a “Use” key. The premise is that this key would have context-sensitive functionality, as well as offer different functionality based on whether it was just tapped once, or pressed and held down. The fourth community guide video is now out! Along with it, I’ve also done a new Art of Flight as well as a new commented video.